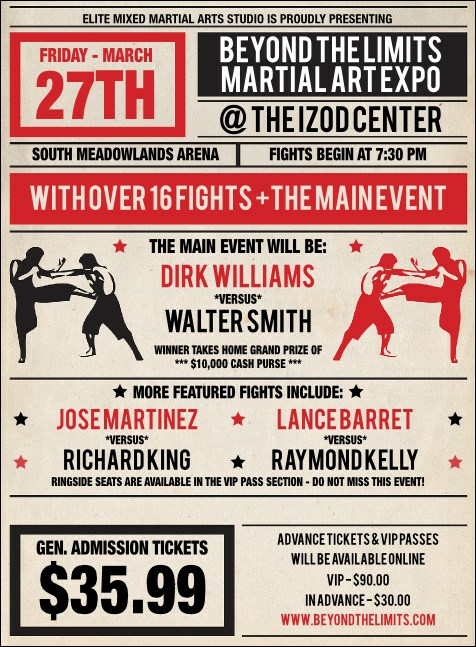 Help your guest list make the right decision when you send out individual MMA Old School Invitations for your event. Clinch the best attendance numbers you’ve seen with Invitation templates that feature a unique, retro background look and space to customize thirty separate lines of deep red and black text. Hook potential guests with great advertising from TicketRiver.com.au.